In what’s become a San Diego holiday tradition, local, state and federal law enforcement officers will caravan to Rady Children’s Hospital Tuesday to pass out teddy bears and other stuffed animals to patients and their families. At 9:30 a.m., about 150 officers participating in the 26th annual San Diego Regional Law Enforcement Teddy Bear Drive will depart Juvenile Hall for the hospital in patrol cruisers and motorcycles with their lights and sirens on. After a brief news conference, they’ll fan out through the hospital’s units to pass out donated teddy bears, according to event organizers. As officers are visiting patients, representatives of various local agencies will drop off thousands more stuffed animals to bolster the hospital’s supply. 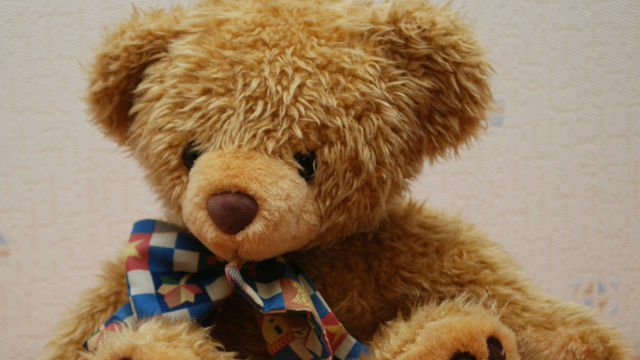 Hospital staffers distribute teddy bears all year long. Since the effort began in 1990, more than 1 million stuffed animals have been donated to Rady patients. It all started when now retired Coronado Police Officer Brian Hardy got lost while conducting a follow-up investigation at the hospital and stumbled upon a nearly empty holiday toy donation bin. He purchased a dozen teddy bears and donated them to the hospital. Word of Hardy’s deed spread over the years, and now officers representing 15 agencies collect upwards of 40,000 bears annually. This year’s drive is hosted by the Coronado and Carlsbad police departments.